Rep. Marsh was elected to the Oregon State Legislature to represent House District 5 in November 2016. 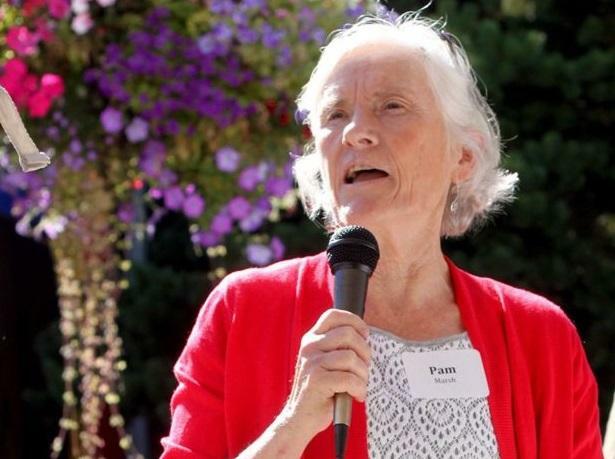 She is a 24-year resident of Oregon, former Ashland city council member, small business owner and past manager of Ashland’s nonprofit food bank. 1. Oregon is renowned for its world-class seed producing climate. How much do you value GE-free agricultural zones in Oregon? Very much. I supported the local measure and sponsored legislation in 2017 that would have given other jurisdictions the opportunity to choose for themselves whether or not to be GE-free. 2. Do you believe that the companies behind genetically engineered seeds, not the farmers who plant them, should be held accountable for GE contamination events that adversely affect non-GE crops grown nearby? Yes. But I also think farmers should be held responsible for poor practices. 3. Oregon produces a relatively low number of GE crops per area of any state in the U.S., what would you do to ensure that those growing non-GE/GMO will not be impacted by the contamination that thousands of farmers across the U.S. have dealt with in recent years? I don’t know if there is anything we can do to ensure protection. That’s the very real risk posed by GE agriculture. However, we can impose liability and we can give local areas the opportunity to vote to be GE-free. 4. Do you think that local communities should have the right to choose if GE crops are grown in their region? 5. Oregon is 4th in the nation with regard to income from organic agricultural products. Do you support the concept of rewarding farmers who practice methods to sequester atmospheric carbon into the soil to help mitigate climate change? Yes, absolutely. I have approached Our Family Farms about the prospect of partnering in such legislation. Re-elect Rep. Marsh! To support her campaign, please contribute and volunteer.